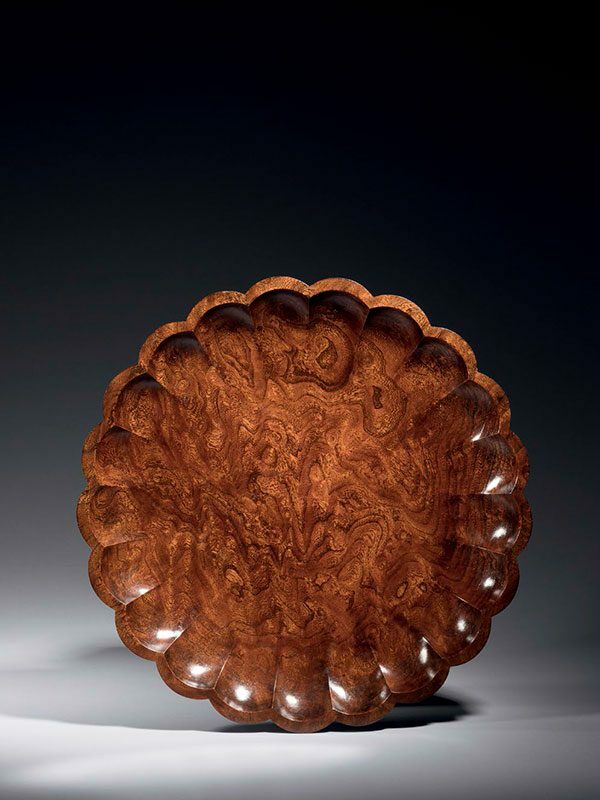 A circular zelkova wood dish with scalloped edge. 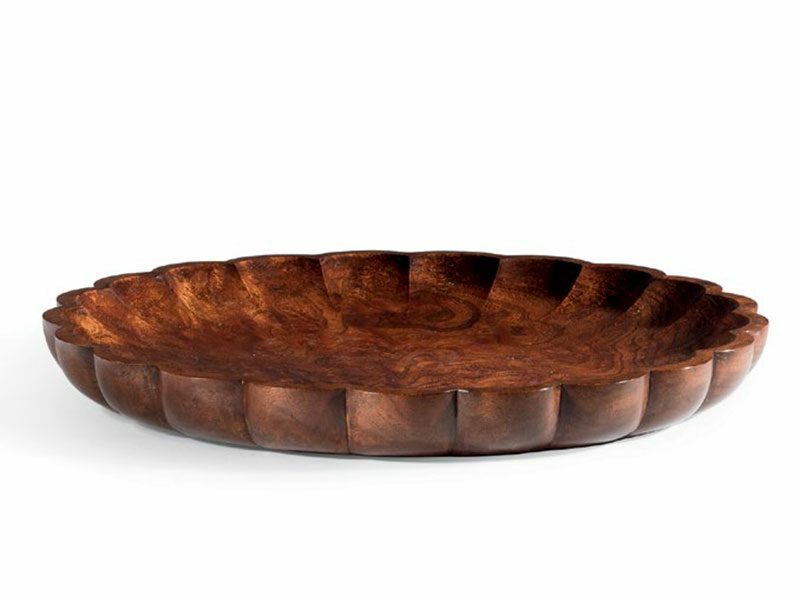 The wood displays its grain structure to great effect. In the original tomobako, it is inscribed: “Keyaki moku. Koro bon. Miyazaki Heiando. It is stamped with two seals: Kyoto Ebisugawa Sakaimachi, with Miyazaki sei” [Zelkova wood (keyaki in Japanese), a tray for incense burner display, with the seals of their address at Sakaimachi, Ebisugawa, Kyoto, and the seal of Made by Miyazaki].